Unlike most masks which have relatively thick cuffs to help withstand repeated use, the AuraOnce Laryngeal Mask features an extra soft 0.4mm cuff. Thus, the seal more readily conforms to the shape of the airway with significantly less internal pressure. A thicker tip helps prevent folds during insertion, so placement is always correct. 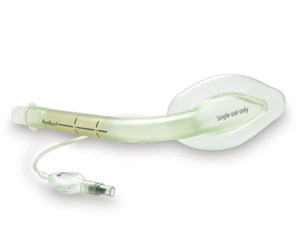 The cuff, mask and airway tube are molded in a single unit. This unique molding process also ensures that the cuff and tube are free from ridges or fins that can scratch the walls of a patients airway.